With solar panels made available in various shapes and constructions, I've always thought that they may one day make their way into the auto industry. We've heard of golf buggies being powered by solar PV panels but not a working, commercial size passenger car. The wait should now be over. 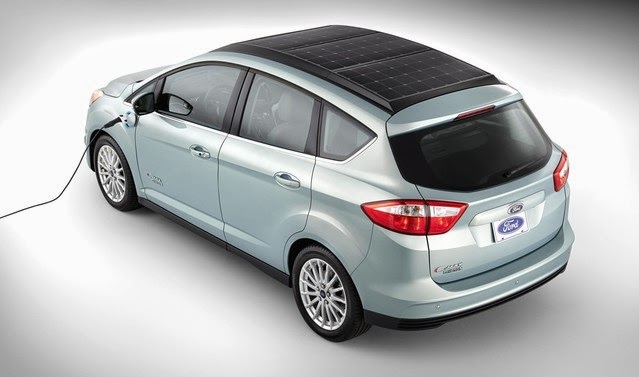 Ford Motor Co., the second largest U.S. automaker, has come up with a plug-in hybrid electric vehicle that uses solar panels in the roof to recharge itself. 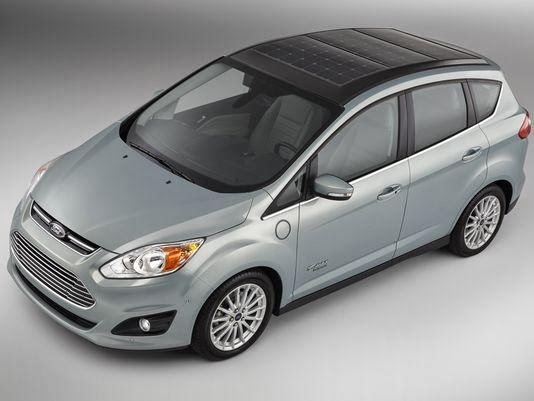 The C-Max Solar Energi will be on display at the 2014 International Consumer Electronics Show in Las Vegas that begins Jan. 7, Ford said in a statement. The vehicle can travel about 21 miles (34 kilometers) using only electric power and has a total range of about 620 miles. It has 300 watts to 350 watts of SunPower Corp. solar cells in the roof and may portend a future of mass-produced rechargeable cars that don’t need to be plugged in. The concept includes a canopy-like parking structure that uses Fresnel lenses to focus sunlight on the car and boost efficiency of the solar cells. It was developed with the Georgia Institute of Technology and shifts the car’s position throughout the day as the sun moves across the sky. The car also has a standard port to connect to a charging station. Ford estimates it sold more than 85,000 hybrids and electric vehicles in 2013. Toyota Motor Corp.’s Prius hybrid electric car has an optional solar panel that powers a fan to circulate air within the vehicle when it’s parked in direct sunlight. Nissan Motor Co. offers a Leaf electric vehicle that uses a solar panel that helps keep the car’s battery charged.